Item #11064 Category: Facilitator's Handbooks. The foundation for our New Teacher Professional Development Kit, this facilitator’s handbook provides the teaching notes and handouts you need to design 30 hours professional learning for a three-year induction program. The materials are appropriate for novice teachers, alternative certification teachers, and experienced teachers new to the district. 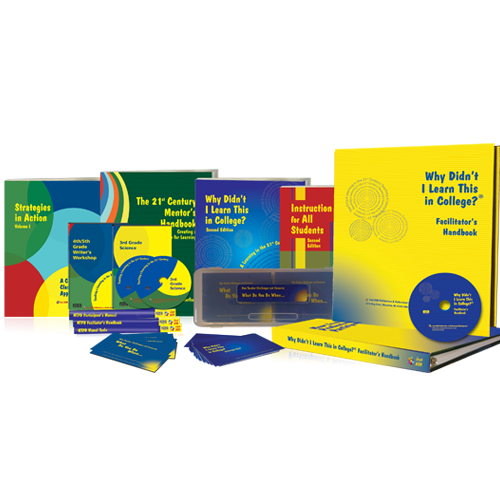 The handouts and over 40 additional active learning strategies for adults are included in hard copy and on a CD-ROM.